Centurion Star is Dubai’s first freehold commercial property. 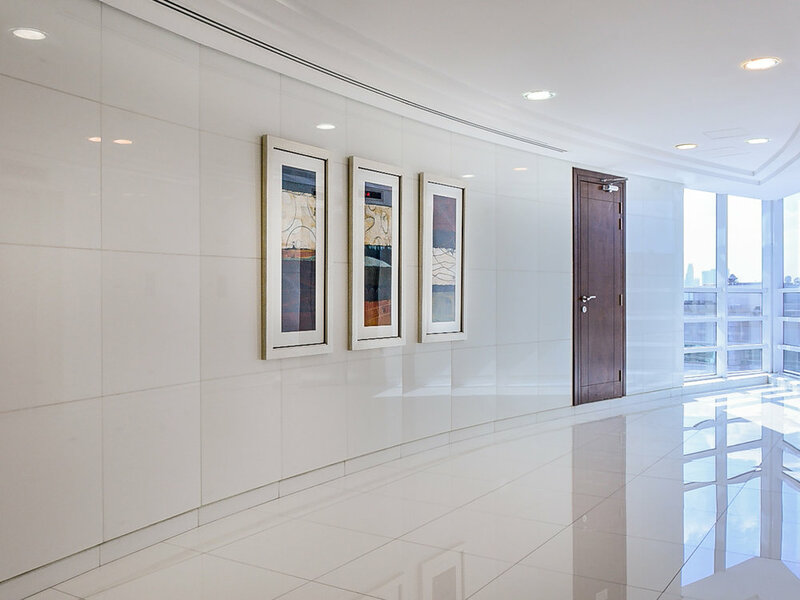 Situated in Deira the 12 floor office building offers magnificent views of Dubai Creek and the Dubai Creek Golf and Yacht Club. 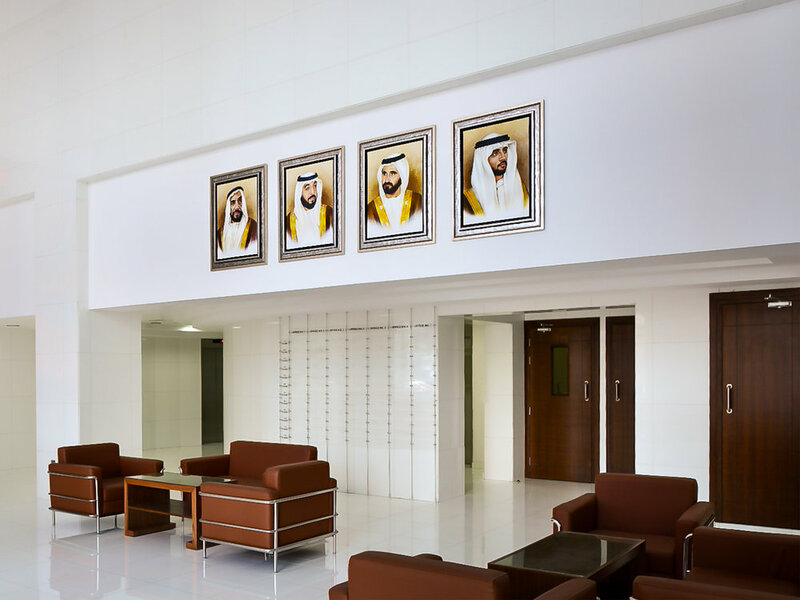 The double height entry lobbies to both towers are light and spacious, so Capsule Arts felt that large-scale artworks were required to bring warmth and vibrance into the environment, while also offering a cultural connection to the Emirates. These statement pieces in the lobby are complemented by art in the corridors between office units, creating a welcoming environment. 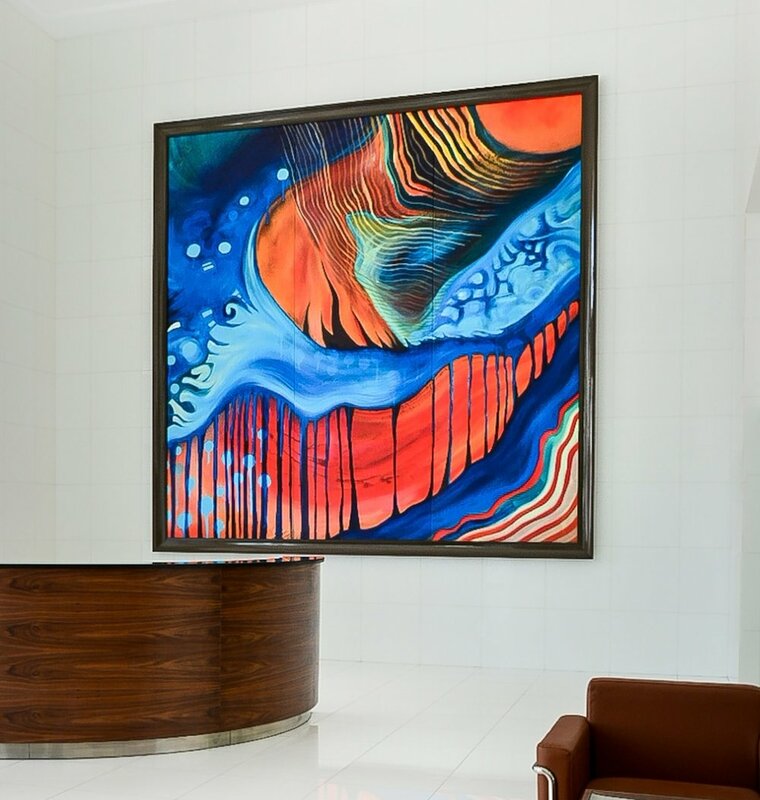 In the entrance lobbies, we featured two artworks by UAE-based artist Kathryn Wilson, acting as a focal point for the building’s community. Her abstract style references the interplay of contemporary and traditional life in the Emirates, and the interaction of people, shapes, and patterns. 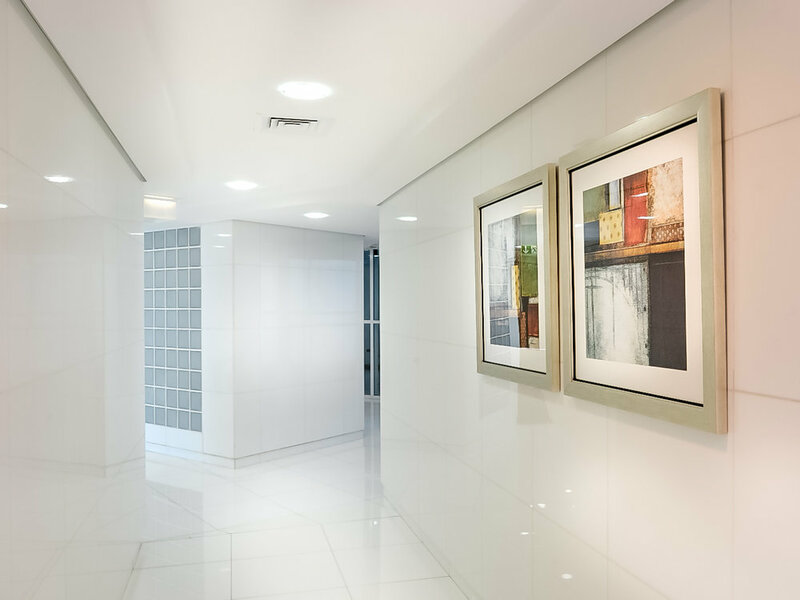 Throughout the corridors of the 12 office floors, a series of modern abstract art prints on paper were selected by Capsule Arts. Commissioned artists on the project were portrait artist Vijay Narayan, and Capsule Arts print collection artist Kathryn Wilson.